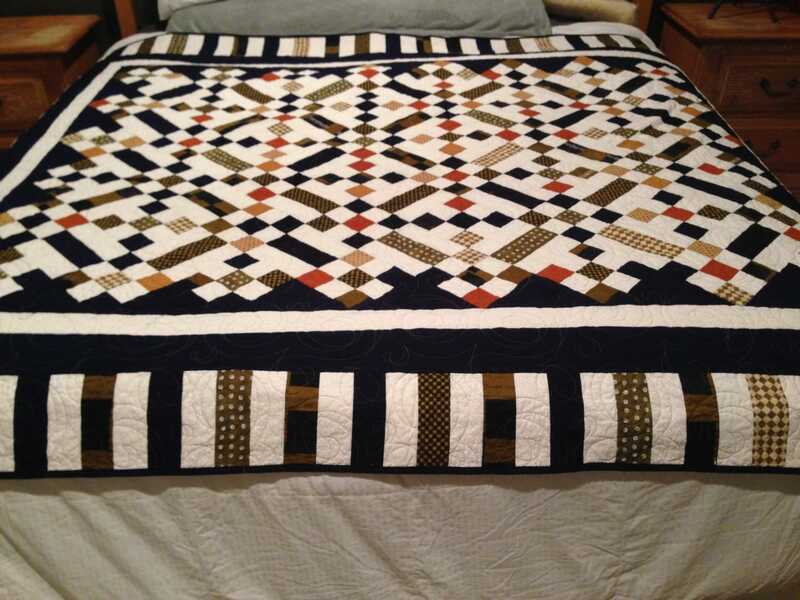 This beautiful quilt measures 62" x 70", backed by cream colored minky fabric; perfect for curling up in on a cold night. It's made of 100% cotton in navy blue, green, rust with an off-white background. The batting is a cotton/poly blend (80/20). 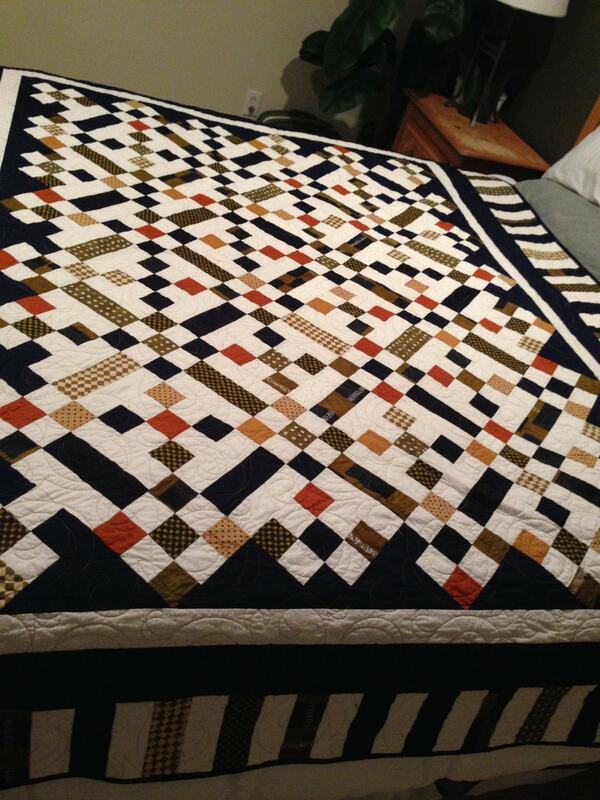 This is a one of a kind quilt, made in a smoke-free, pet-free environment and can be put in the washer and dryer. If you see a quilt that you like in my store but would like a different color, I'd be happy to create a custom quilt for you. In this case, please allow 30 days turnaround time. Should the actual shipping charges be less, a refund will be applied. While creating is my passion, I believe it is equally as important to give back, pay it forward, or do good for others in our lifetime. This being said, for every quilt purchased through my shop, I will make and donate a quilt for a needy child, whether terminally, traumatized or in foster care through Project Linus or Quilts for Kids. A photo of the quilt being donated will be sent to the person who purchases a quilt from me and the donation will be made in both our names. My preferred method of payment is PayPal. All artwork is guaranteed to be original and if items are framed, all materials used in framing will be in perfect condition. Shipping will be through USPS priority and will include insurance. UPS is an alternate but more expensive. Seller is not responsible for article held or delayed in International Customs. Please send me a message for international shipping charges and costs. I do not offer refunds on artwork or commissioned work. Purchased quilts can only be returned if agreed upon prior to purchase via a convo and must be returned within 3 days of receipt. Commissioned and custom requests are welcomed. I offer a standard 1/2 up-front charge and 1/2 upon completion and satisfaction. Please contact me and a standard contract will be issued for all custom orders.